If you’re thinking of flying with Cebu Pacific for an international flight, I’d recommend you to spend a little more on a better airline. I generally like to go with budget airlines whenever I travel. Our local budget carriers – Scoot, Tiger, JetStar and AirAsia – have generally given me fairly good experiences so far, especially whenever I fly Scoot. They usually reach their destinations on time, and the prices paid for the service and smooth flight has always been very value-for-money to me. Over the years, I’ve also found various ways to get more out of budget airlines (read here), and almost always recommend flying with them so that you can use the money you saved to spend on other travel expenses instead (food, accommodation, etc). So I was expecting the same standard (or at least not comparably worse) from Cebu Pacific when I picked them for a flight to the Philippines this week. Especially given the Philippines’ reputation for great service. Unfortunately, the experience left such a bitter aftertaste in my mouth that I will probably never fly them again. Perhaps I’ve been spoilt by Singapore’s budget airlines, but I wasn’t impressed when Cebu Pacific had a hard landing and was 30 minutes late. This was made worse because I had a pickup waiting for my arrival. Despite the plane leaving Singapore on time, they still managed to land late. Now, flight delays do happen, and I can fully understand that. But whenever it happens, the passenger always knows because the airline crew will make an announcement apologizing for the delay and inconvenience. Cebu Pacific, on the other hand, doesn’t even bother telling us anything. The return trip back to Singapore on Cebu Pacific definitely took the cake though, and made me decide that I will never fly with them ever again. Here’s what happened. 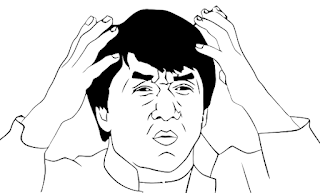 I headed to the airport 4 hours early (as advised by my hotel), only to find that the check-in counter wasn’t even open. The Manila airport was a mess, with multiple check-in rows dedicated to Cebu Pacific flights, but unlike Changi Airport, it doesn’t tell you which row your check-in is located. There was only one main entrance at the doors stating Cebu Pacific international flights, which I had entered, so I decided to sit nearby to wait. 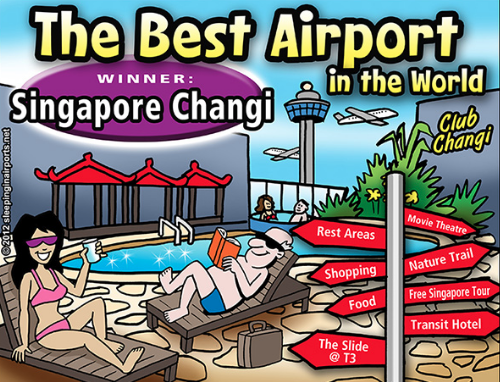 If Changi Airport is a 10, Manila Airport would probably be a 2. The signs were switched manually at the entrance of each row. Every few minutes, I would look up at the board for details on Singapore, but it still didn’t say that check-in had opened yet. The staff had been adding signs for other flights (Siam Reap, Hong Kong, etc) but there was still nothing for Singapore. By the time it was 90 minutes to my plane’s departure, I lost patience and decided to go to a counter to ask. They then told me that the check-in counter was at the other side, closer to the Cebu Pacific domestic gate entrance. At least checking in took only 15 minutes. 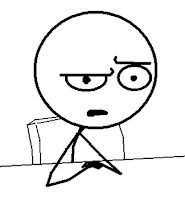 I received my flight ticket 50 minutes prior to departure, and had 20 minutes left before boarding time for my flight. The gate stated was 103. After clearing customs, I headed to gate 103, located almost right at the very end of the terminal. There was still 10 minutes left before boarding opened, and the seats at 103 were full, so I sat down to wait from across (again, where I could see the sign). Note that there were no electronic boards or any notification board which you can check for delays, unlike in Singapore, and everything was done manually. It was stated that boarding would close 15 minutes before departure time. 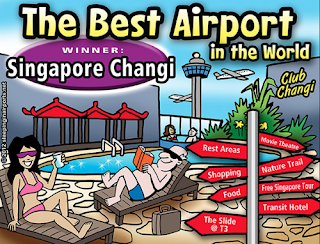 Well, at 20 minutes prior, I lost patience again and asked the staff why the sign for Singapore was still not up when the gates would be closing in 5 minutes. They then told me that the gate had suddenly been changed to a different gate. But there were no announcements about any of the changes. No announcements over the speakers, nor was there any signs or notifications placed at the correct gate (103) to inform of the last-minute change. Cebu Pacific apparently doesn’t seem to believe in keeping passengers informed of any changes or delays. Don’t passengers have a right to know? So I ran like mad to the gate and thankfully, managed to board before it closed. But it was a terrible experience of nearly missing my flight, and it didn’t help given the fact that I went 4 hours early to avoid precisely such a rush. TLDR, avoid Cebu Pacific unless you want a heart attack. If there are any delays or changes, you won’t be informed…you just have to find out on your own. With the Manila airport being so backward in technology, everything is done manually and you’ll have to be extra alert if you don’t want to miss your flight. And good luck getting a refund even if the reason you missed your flight was due to Cebu Pacific’s inability to inform their customers. P.S. Apparently I’m not the only one. Read another passenger’s horror experience here in the Manila Times and other more reviews here. Get cashback or miles on your income tax payments? Why not!